Green Port Hull celebrated six years of local achievement in the renewables sector today [December, 19th] at its annual Christmas networking event. 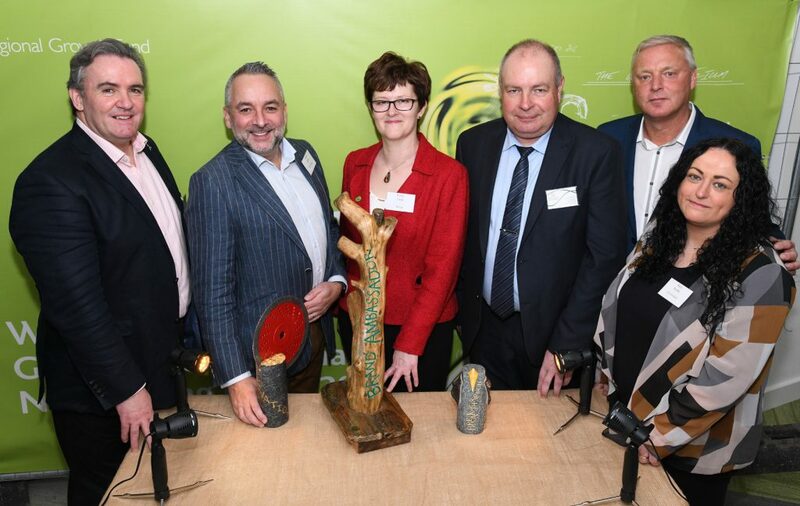 Held at ergo, more than 200 delegates from local businesses attended the event, where unique celebratory sculptures were presented to those companies and industry figures who were recognised for their achievements. Mark O’Reilly, chief executive office, Team Humber Marine Alliance. Dawn Hall, Project Manager Green Port Growth Programme, said: “We have just spent six years developing the Green Port Growth Programme, so we wanted to use the day to celebrate some of the achievements of companies, people, and organisations we have supported throughout that time. Sculptor Saffron Waghorn said: “They’re called Portaliums because these companies and their people have pushed themselves and their ideas through a portal, to a point where they’ve created something that is out of the norm, with cutting-edge ideas and ways of working. Individual and collectable as works of art, the Portaliums are made out of found and recycled material including stone, metals, fired clay and card in keeping with Green Port’s renewables and sustainability ethos. Speakers on the day also included: Finbarr Dowling, Project Director at Siemens, and Emma Toulson, Lead Stakeholder Advisor at Ørsted, who discussed future supply chain opportunities. Be the first to comment on "Green Port Hull celebrates six years of local achievement"